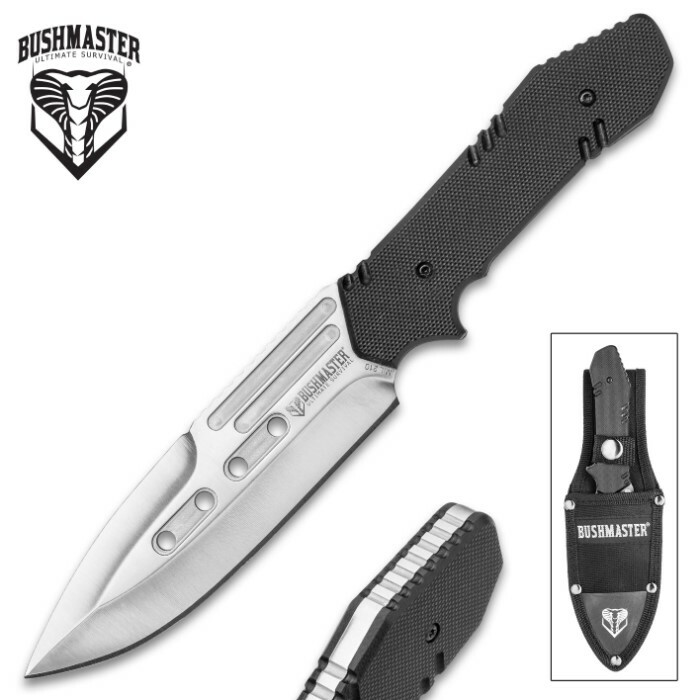 Bushmaster Mission Ready Fixed Blade Knife And Sheath - 3Cr13 Stainless Steel, G10 Handle Scales - Length 8 1/2” | BUDK.com - Knives & Swords At The Lowest Prices! 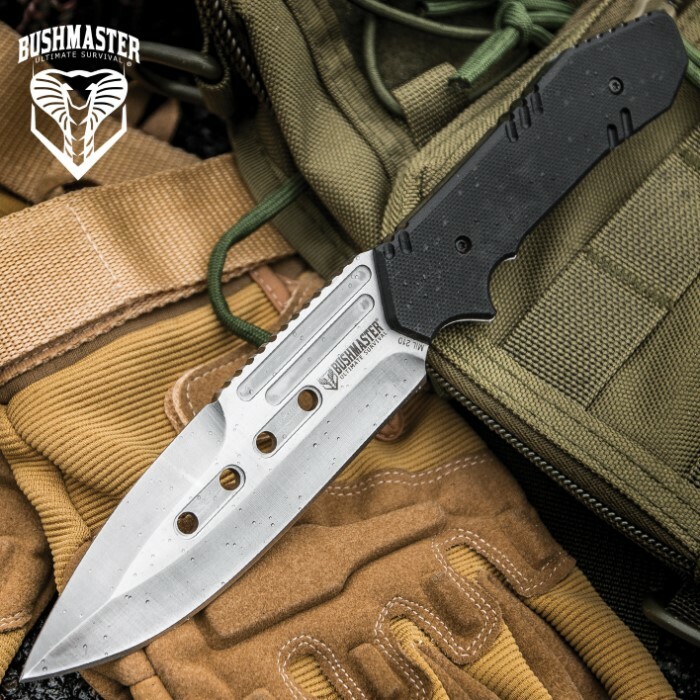 The Mission Ready Fixed Blade Knife from Bushmaster is your go-to everyday field and outdoor knife. Rest assured that the razor-sharp 4 3/4” 3Cr13 stainless steel, full-tang blade always has you covered whether you’re braving the Amazon jungle or the hunting trail. 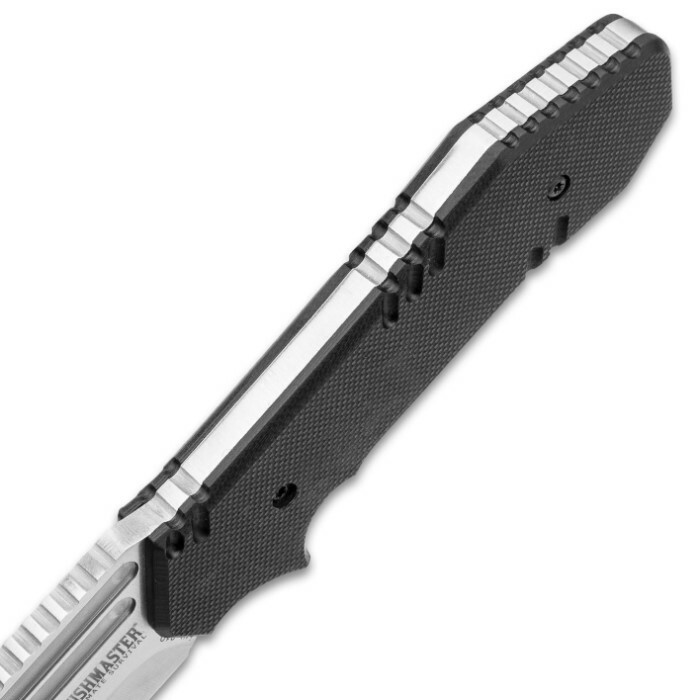 The tough, black G10 handle scales are secured to the tang with heavy-duty rivets so that the handle will take any abuse thrown its way. 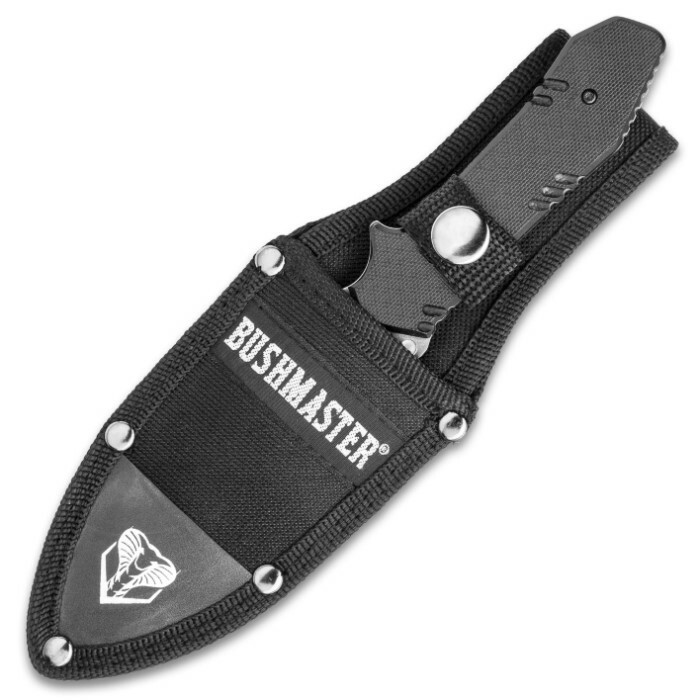 The fixed blade is housed in a sturdy nylon belt sheath with a snap closure strap to secure the knife in place. When you go out in the wild, you better have a Bushmaster! I absolutely love this knife it's not a huge knife perfect for your hand balanced perfect and very sharp since i put my edge on it no oofence to budk but some of the knives i buy do not have a very sharp edge but i still love the knife it was so much bettr than expected , i would most deffinitely recommend this knife especialy to a survivalist. I really like the small compact size of this blade. However, the handle is very small. (if you have average hands?) So the fix I recommend involved filing down the Blade edge closest to the handle & finger cut area. about 1/2. Now when hand waraps over handle. no edge to potentially cut finger while in use. (hope this makes sense) this is good blade otherwise. Now is perfect for small carry & ready for whate ever. Very hefty blade so I surprised at how small the hilt was. Also found a little difficult to maintain a decent edge, as in, it wouldn't stay sharp long at all. The sheath is the best part, I loved it. SO WORTH IT! this knife fits in your hand so well. It is kind small and since it has no blade guard it is kind of sketchy to use, but just make sure you have a good confident grip. 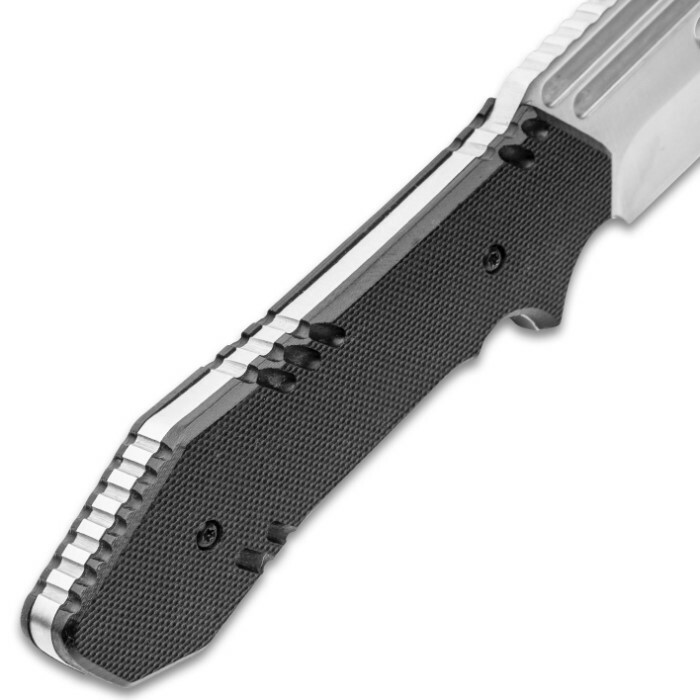 If this knife was like 2-3 inches longer it would be perfect. Other than that this is a steal of a deal.